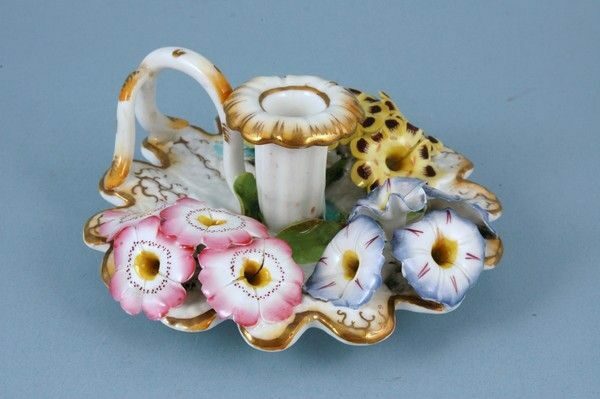 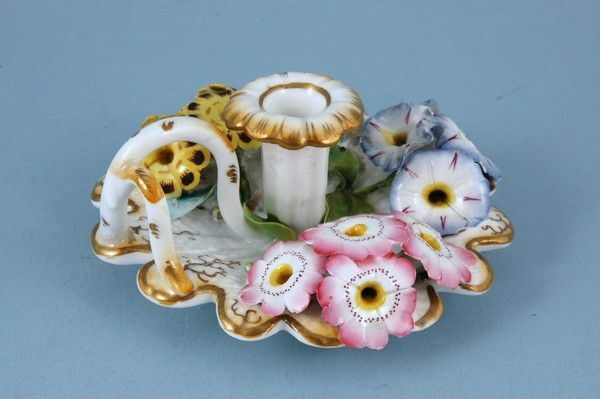 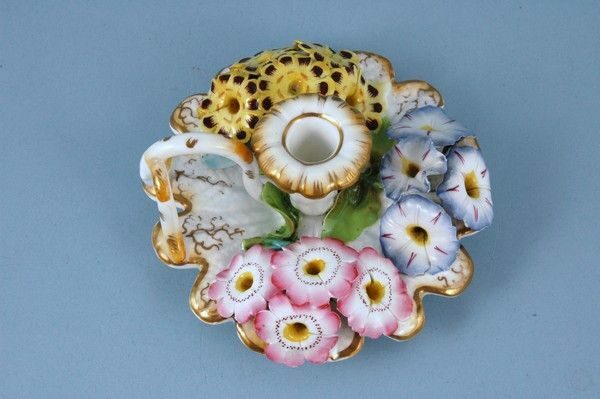 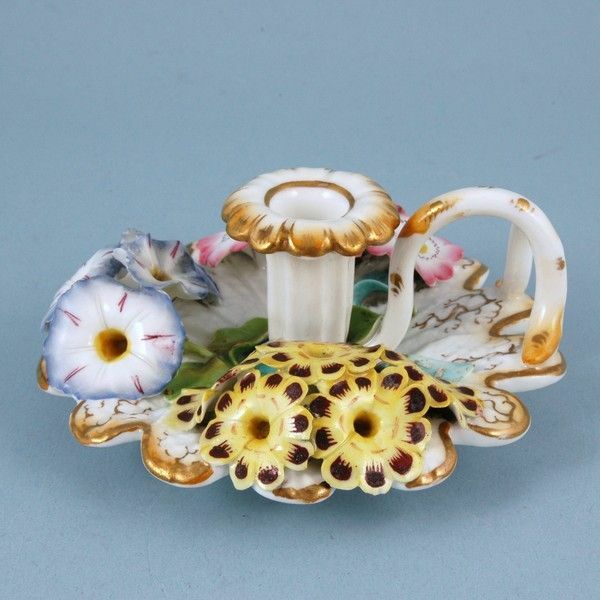 A good quality 19th century English porcelain small chamberstick, profusely decorated with applied flowers. 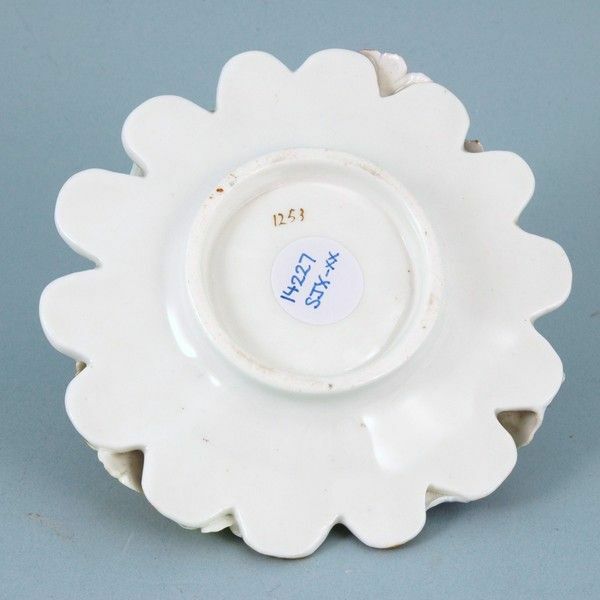 Pattern number : ‘1253’ to underside. 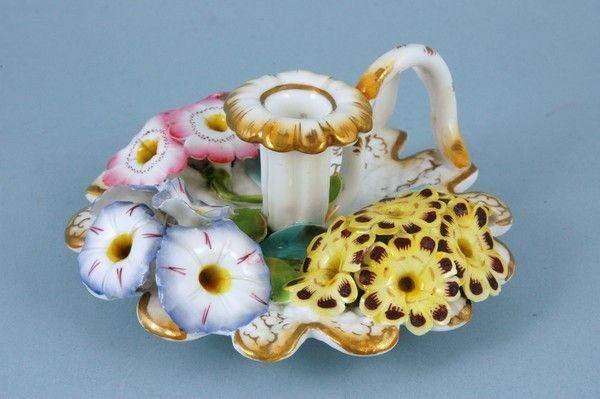 Condition: Excellent, just a few tiny chips to a few petals.